Today, w’ere going to talk about the top 10 National Guard Benefits. It seems negative attitudes and opinions are abundant. Especially in regards to the United States military. They will deploy you to a war zone and you may come back in a body bag. If you don’t like it or are offered a better opportunity, you can’t leave until your time is up. And while there is some truth to these negative statements; yes, you could be deployed but you will be trained extensively and the odds of your dying are actually quite low. The odds are higher of you getting killed in your car on a busy interstate highway. On the 2nd negative, yes, you sign a commitment but do know, you only work part time in the National Guard while working your normal job. So if you are offered an opportunity, why can’t you take it? In today’s post, I am going to focus on the positives. 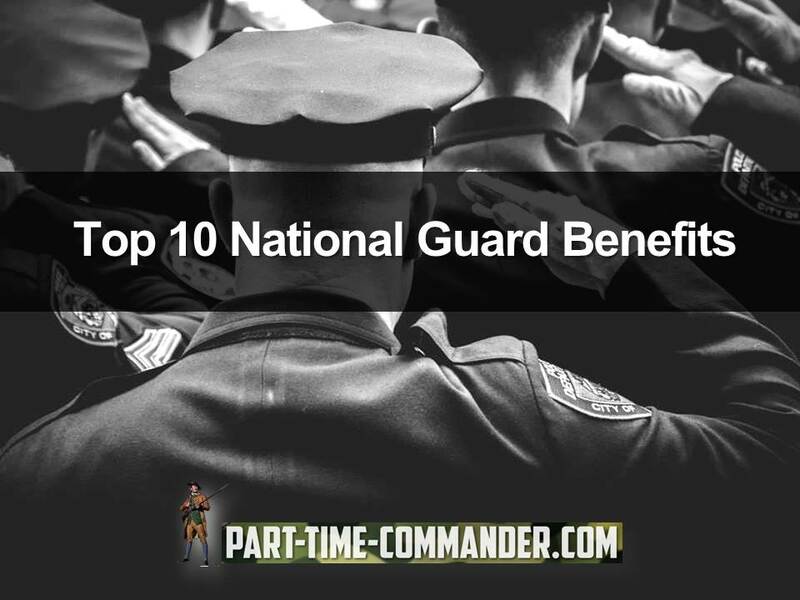 Here are the top 10 National Guard benefits. 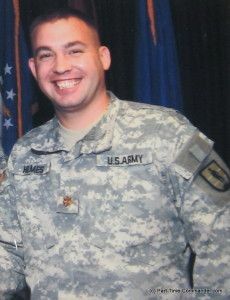 Was discharged or released from active duty for a service-connected disability. To take advantage of this benefit, you need a Certificate of Eligibility. To learn more and apply, click here. Joining the Army National Guard can help an individual pay for a college education. And while you can get a similar benefit by going full-time Army, this benefit is even better for National Guard members. Because with the National Guard you are part of both the Federal and State defense. So there are Federal tuition funds and each state also provides education funding for members of that state’s National Guard. Both can be combined for members who have served at least 1-year. In many cases, it can add up to approximately $4,000 per year of tuition assistance. Many of the jobs in the Army National Guard have an equivalent job in the civilian world. So when you qualify for an Army National Guard MOS (military occupational specialty), you will receive high quality training that most civilian employers respect. Most people who served in the National Guard have no problem being hired for an equivalent civilian job because of their training and experience. Normal people like you and me cannot afford to go without health insurance. Just opening the doors to an emergency room can cost $500 or more. By being a member of the National Guard, you and your immediate family are eligible for TRICARE health insurance benefits. Military service does carry risks, as does civilian life. And there is no guarantee of life itself. We want to know that are family does not suffer hardship if we are suddenly killed or die for some reason. By being in the National Guard, you can get low cost life insurance to ensure your loved ones can go on in case of your death. Let’s admit it, joining the military is an adventure. Yes, it will be hard, but you will have the opportunity to do things you would never have done unless you joined. You will find that you have the ability to do more than you could ever imagine. How can we not interject the money? After all, who can’t use an extra paycheck? Many National Guard members have been able to bring themselves out of debt and be able to purchase things they have desired just because they joined the National Guard and began to earn that extra money. At any given time, a civilian employer may decide to cut costs and lay off employees. You will not find that happening in the National Guard. They cut costs in other ways, but as long as you are not a complete “screw up,” as a member of the National Guard, you have a permanent job that is not going anywhere. It was mentioned at the start of this post that being deployed is considered a negative. It can also be a positive in that you will get to travel to somewhere you have never been, learn about other cultures and eat exotic foods. Now, as a National Guard member, travel is not guaranteed, but it is possible. I think it best you consider the positive side of deployment. As a member of the National Guard, if you are disabled while on duty, or even disabled off duty for some issues, you may be eligible to receive disability compensation. And, veterans with a service-connected disability may also quality for other benefits, including: Automobile Allowance, Clothing Allowance, and Specially Adapted Housing (SAH) or Special Home Adaptation (SHA) Grant. Although Greg wrote this great post, I want to interject and share some insights as well. I spent six years in the Maryland Army National Guard. Here are some of the benefits I enjoyed during that time. I received 2 “contract extension bonuses as an officer in the ARNG. One was for around $6,000 and the other about $20,000. After resigning my commission, I used my VA loan to buy my dream home in Florida, with no money down. I got to attend resident and non-resident courses to pursue my military education. I got to travel to Kosovo, Hungary, German, Bulgaria and Macedonia; countries I would not normally visit on my own. I served with some great people. This is the only benefit Greg did not cover that I would have added to the list. The people you serve with become an extended family to you. I also had a sense of purpose. It felt great knowing that I was making a difference, I was part of a great team, and I was serving my state and country at the same time. I got to serve on ADSW as a “full-time” National Guard soldier for different periods of time. I say none of this to brag or boast. If anything, I just want to give you an added perspective of how YOU might benefit. If people are trying to tell you that joining the National Guard has no lasting benefits, I suggest you do not listen. As a matter of fact, show them this post. There are many great National Guard benefits. And I am not a recruiter or affiliated with any recruiters. I just tell it like it is. So what are your thoughts? Post all questions and comments below. Thank you.